Radiohead’s New Album “King Of Limbs” Is Up For Pre-Order!!!! Radiohead has a new album releasing soon and you can head on over to their site to pre-order their new album. Oh yeah, did I mention it comes with TONS OF STUFF!!!! You can purchase the hardcopy + digital download or just the digital download. 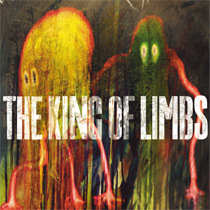 The King of Limbs can be pre-ordered now and downloaded on Saturday 19th February 2011. CLICK HERE TO PREORDER RADIOHEAD’S NEW ALBUM, “THE KING OF LIMBS”!!! The Unbalanced Note #9 – Funkadelic! This entry was posted on Monday, February 14th, 2011 at 11:16 am	and is filed under Music. You can follow any responses to this entry through the RSS 2.0 feed. You can skip to the end and leave a response. Pinging is currently not allowed. « Comedy Central Gives Norm Macdonald His Own Sports Comedy Show An Eight Episode Run!! !